Begins June 5, 2018 (after early bird registration). Attention to detail can be the difference between mediocre customer service and world-class memorable experiences that drive repeat business. In this course, you will examine time-tested Disney strategies that help create world-class service. 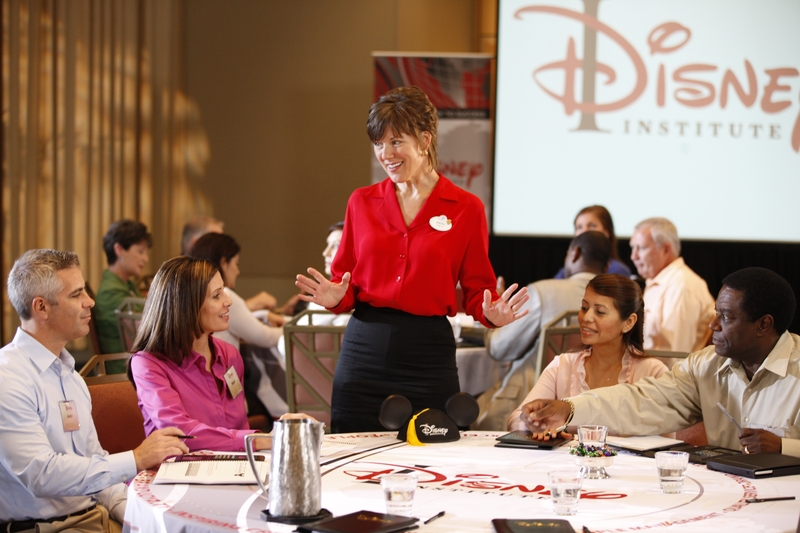 Spend one day with Disney Institute and you'll benefit from our insights on quality service and learn to think differently. Are you ready to D'think your customer experience? Determine how you can drive service differentiation. Utilize tools to deliver exceptional service. Learn how to recover from a service failure. Disney's Approach to Quality Service. Cancellation Policy: Deadline for cancellation of Disney Institute Conference Registration is August 31. Although Disney Institute is presenting this program, the sponsor of this program, ATD South Carolina Midlands Chapter, and not Disney Institute, is responsible for marketing and promoting this program, and for providing and arranging for the venue, facilities and other items for this program. This includes any food and beverage offered at or in connection with this program. ATD South Carolina Midlands Chapter is not an agent of Disney Institute or its affiliates, and Disney Institute and its affiliates assume no liability relating to the event or for the acts or omissions of ATD South Carolina Midlands Chapter.